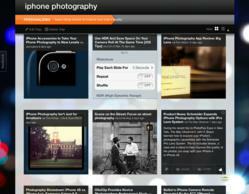 Trapit today announced the public beta of its personalized discovery engine. After conducting a successful private beta, Trapit is now being made available to the public. Trapit combs the web to find the most relevant content for each individual user and creates personalized topic-specific “traps” that are constantly updating. 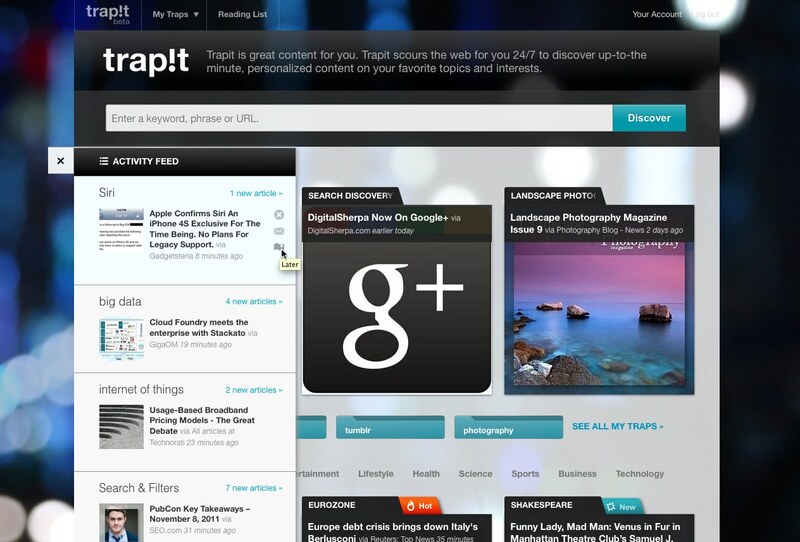 To get started, users simply enter a search term into Trapit, from which the application will display results based upon its understanding of the context of the articles, as well as the user’s unique, personal interests. Users can save those results as a “trap”, which will persistently comb the web for more relevant articles and content. Over time, as users provide feedback to the discovery engine, Trapit will further improve its personalized recommendations. Over the course of the private beta period, Trapit has implemented improvements and enhancements across all facets of the application and underlying technology. Trapit’s list of carefully vetted sources now includes roughly 100,000 sites from across the Web, and the service continues to add more sources every week. The private beta also led to several major improvements to the user interface, as well as improvements to the underlying personalization technology, and entirely new features like the activity stream that gives users a view of all the new content that’s relevant to their interests in one real-time view. Trapit’s personalization technology understands the individual user as a constantly moving target. It takes for granted that users’ interests, attentions, intentions and goals around what they seek and want in web content are in perpetual flux. Just as individuals are not static, their search results are not static either. Born out of SRI International’s CALO (Cognitive Assistant that Learns and Organizes) project, the largest artificial intelligence project in U.S. history, and the same project that gave birth to Apple’s personal assistant technology Siri, Trapit utilizes CALO’s advanced technologies to personalize the user experience at the individual level and continually improve with use. Trapit is great content, for you. We scour the web on your behalf, 24/7, organizing the best, most relevant content into individual “traps” for easy consumption. Trapit is born out of SRI’s CALO project ("Cognitive Assistant that Learns and Organizes") - widely considered to be the most ambitious and successful AI project in history. Trapit was founded in 2009 and is based in Palo Alto, California. The company is venture-backed by Horizon Ventures and SRI International.